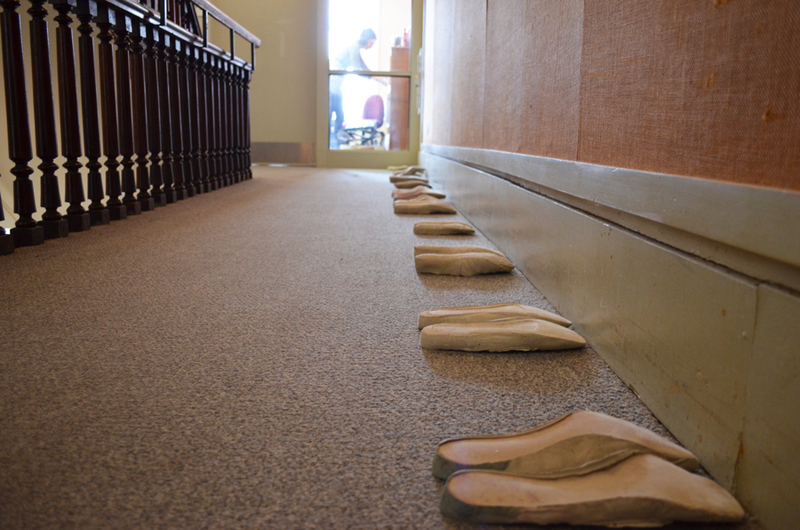 I cast the interiors of well-worn women’s shoes. 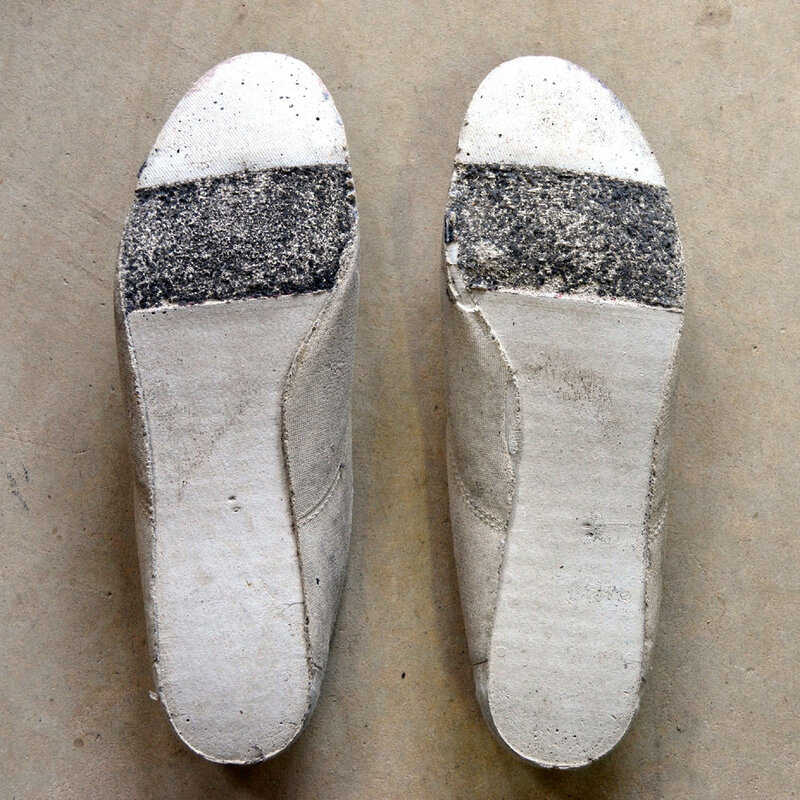 The castings unfold the structure of the shoe, as well as the foot’s pressure and form. 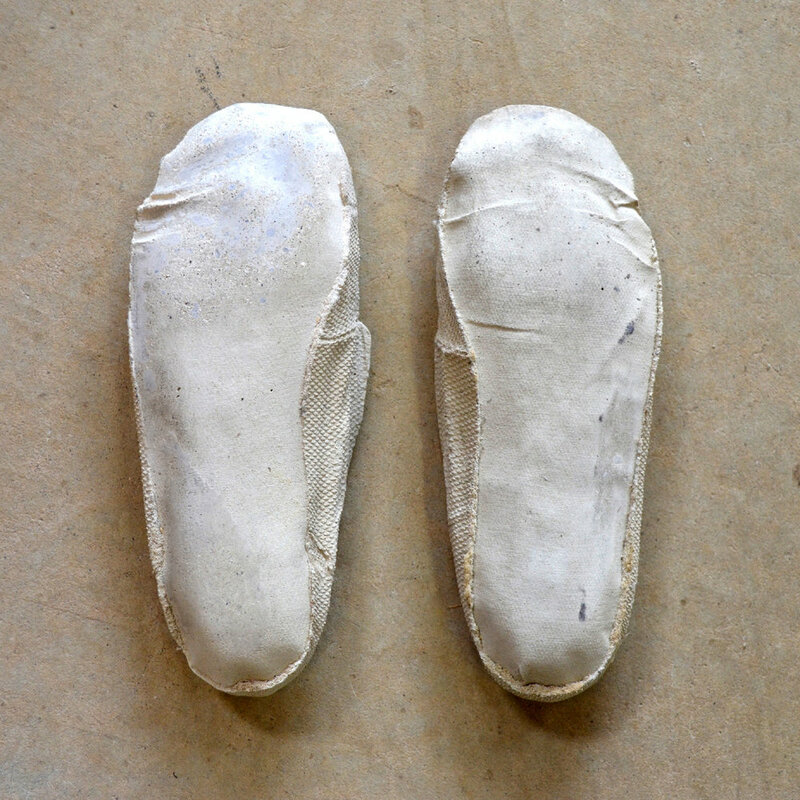 The process of inversion exposes the insole- the surface where the shoe receives the body. 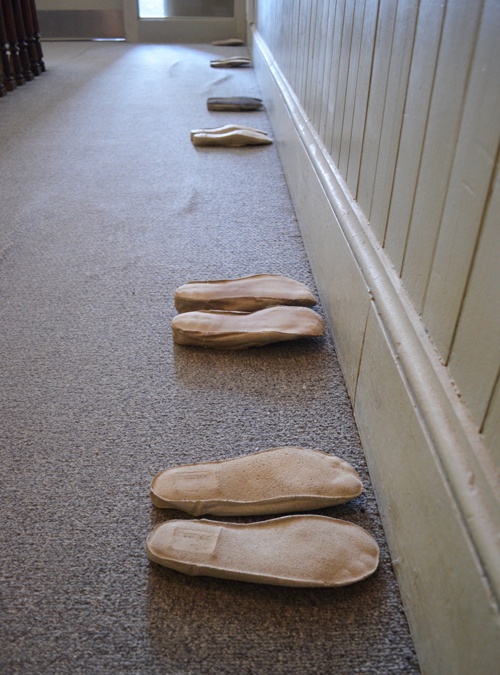 Wear, residue and markings reveal traces of experience inside. 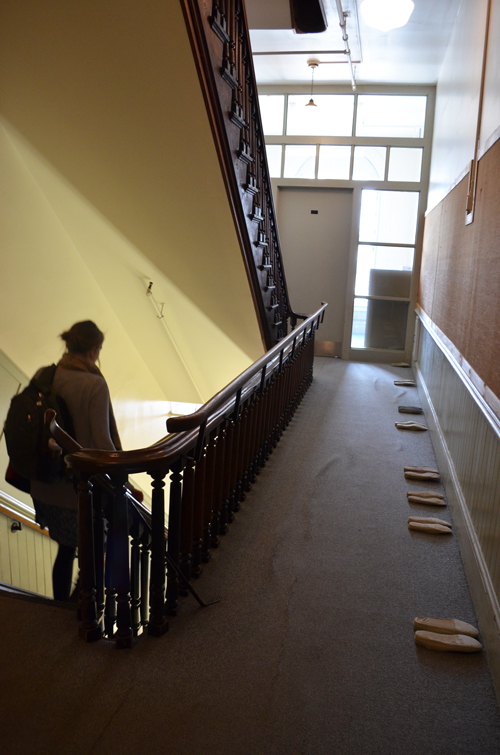 50+ pairs inhabit a four-floor stairwell of a school and former hospital. The vertical chamber is occupied by audio of the women’s voices; they speak of embodied experience and physical wear in the world of undervalued carework and maintenance labor.